James Bugg, a young Melbourne photography school graduate, has won the $50,000 Moran Contemporary Photographic Prize for his image Zach. But not everyone is happy! 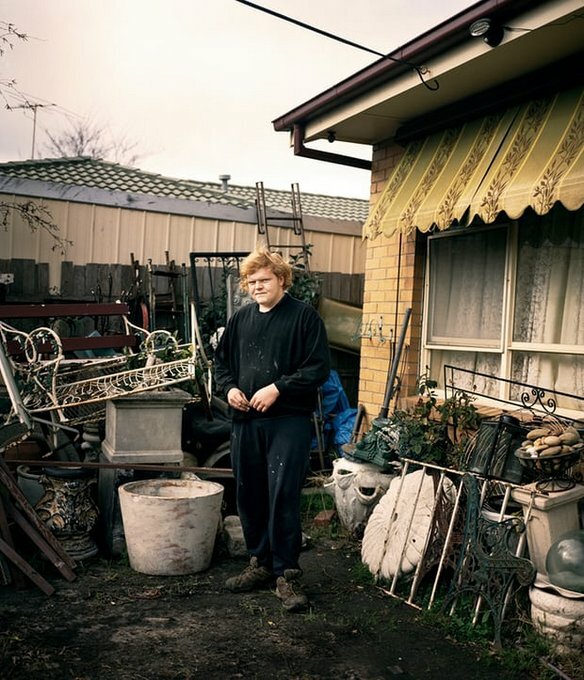 The portrait shows Zach, a young man who lives in Frankston North – a working class suburb in south-east Melbourne. The photo is part of a series captured for James’ graduation project from Melbourne’s Photography Studies College (PSC), which documents disadvantaged people from ‘The Pines’ neighbourhood. James, 22, said he grew up 15 minutes from The Pines, but had a vastly different upbringing from those living there. He saw Zach working on a car in the driveway, and captured just a few pictures of him. Another judge, Jon Jones, a UK photo editor, said the photo ‘offers a glimpse of Australian society rarely visible’. ‘Zach’s direct gaze and awkward stance, surrounded by the discarded pots and garden ornaments that speak of a different time,’ he said. Highly commended: The Significance of Ceremony, by Isabella Moore. The other judge was Australian photographer, Raphaela Rosella. The contest asked photographers to interpret ‘contemporary life in Australia’ with an emphasis on day-to-day life. Isabella Moore’s The Significance of Ceremony, and Matthew Abbott’s Wrestlers Cooling Off were highly commended. Wrestlers cooling off, by Matthew Abbott. 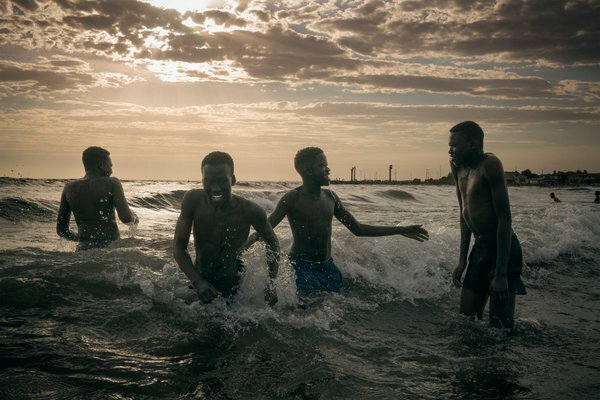 ‘On one of the hottest days of summer, members of the Melbourne Lion Wrestling team cool off in the surf after a training session at Williamstown Beach. It is a popular destination for the Australian South Sudanese community;. It’s practically impossibly to award Australia’s richest photo prize without some online criticism, but The Guardian‘s comment section was dripping with it. While a negative comment or two is understandable, the number of criticisms aimed toward the judges’ decision-making suggests a divide between contemporary ‘photography experts’ and academics – and everyone else. It’s not the first time the quality of contemporary photo judging in Australia has been slammed. The issue reared its head far more dramatically last year when Dr Shaune Lakin controversially awarded the $20,000 Olive Cotton Award for Photographic Portraiture to Justine Varga’s print ‘portrait’. Then there was Ken Duncan’s damning critique of ‘photo illustrations’ posing as photographs in the 2017 APPAs. Looks like the Post-Modern straight-jacket is finally wrapping itself around the practice of picture-taking.